- Answer the following question in the comments section below to be entered to win a hoodie or a t-shirt. Be sure to register today to comment! - Since these Star Wars hoodies reflect specific characters like an X-Wing Pilot or Stormtrooper, what other Star Wars characters would you like to see made into a hoodie by Ecko? - Giveaway ends September 7th, 2012. - Shop Marc Ecko's collection of hip urban Star Wars apparel today by clicking here! 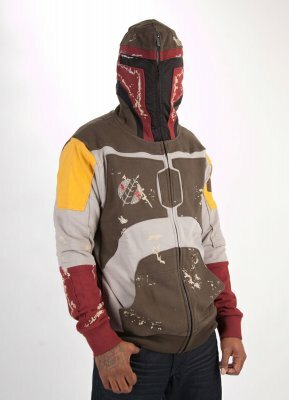 I think that there should be a clonetrooper,darktrooper,jango fett, chewbacca, or commander cody hoodie. I say you guys do a C-3PO hoodie. Those red imperial guard uniforms would be awesome! Fett is probably my favorite, but Vader is always classic. 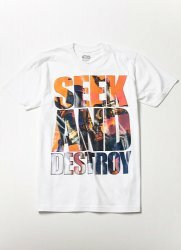 I'd rock all your stuff Marc! I can be your first model from MPLS! Slice you open like a taun-taun. Royal Guard immediately popped into my head. Darth Revan from KoTOR would be badass as well. Aayla Secura or any other Twi'lek like Bib Fortuna....complete with head tails coming off the hoodie and all. R2D2 the hood wold look tight with the one eye and a Darth Vader would look good. Dengar - he's got armor, and a bandaged head. Perfect for a hoodie. I think a great choice would be a C3PO. remember the Sandtroopers? "These are not the droids we are looking for"
Darth Nihilus, the sith lord on the cover of the Knights of The Old Republic 2 game, would be a really awesome one to make!!! Darth Vader.. Chewbacca, Jango Fett, there's so many they could do.. but the Royal Guard would be BOSS. I am not much for hoodies, but this one is a must have. I personally think a Darth Reven hoodie would be all kinds of bada$$. So many other great baddies from the vast Expanded Universe of Star Wars to choose from. I'd recommend the Luke Hoth outfit. Sure too keep you warm and looking cool when there's no taun-taun belly to crawl into! Scout Trooper seems like a no-brainer. Yes, the Stormtrooper is very similar, but they're biker thugs of the Star Wars universe. And it would be awesome to ride my bike wearing this hoodie. Even the pockets are appropriately placed for the supply packs! An Ewok hoodie would be a very good idea plus it would keep you warm. Would love to see an Emperors' Royal Guard Hoodie. A jawa is too easy, as are all the masked men... so Lobot! I'm surprised Vader hasn't been done yet. For the ladies, I think a Leia Boushh hoodie would be cool. Bossk would be a pretty cool one, half the sleeves patterned like scales and the hood zipping up to form his face. I would definitely wear that one. How about a Tie pilot!? Any masked Imperials would be great! I like red and they have always been one of my favs!